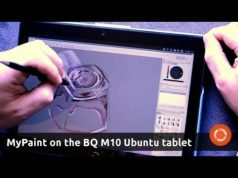 A quick look at the convergence features of the BQ Aquaris M10 Ubuntu Edition tablet. Looks great. I want one, but I’ll wait for a few more upgrades and bug squashes. 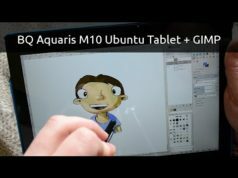 @Jay: I bought an bq m10 ubuntu edition and I find it very exciting. Canonical and bq definitively show the potential of convergence. Quite amazing. However, for everyday use, there is still some work to do. For example: Sometimes the tablet is somewhat slow. Only a limited number of desktop preferences are there. 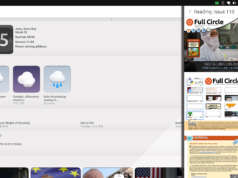 At the moment, there is no UI to install Ubuntu desktop software. At the moment, there is no way (UI?) to install a WiFi printer. And some other bugs. I am looking forward to updates. The path looks very promising.